Piers Morgan is coming to Oxygen. 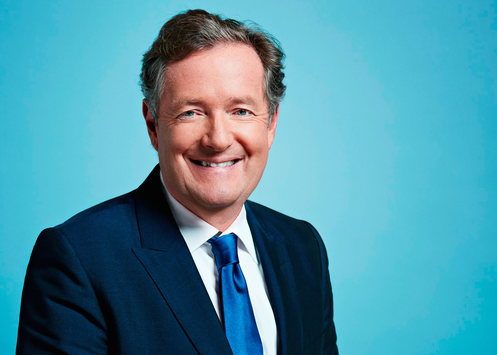 Recently, the network announced their new TV show, Serial Killer with Piers Morgan, will debut in July. Serial Killer with Piers Morgan premieres on Oxygen on July 16th at 7 p.m. ET/PT. NEW YORK, NY – June 20, 2018– Oxygen Media, the network for high-quality crime programming, will debut “Serial Killer with Piers Morgan,” hosted and executive produced by renown journalist Piers Morgan, beginning with two episodes Monday, July 16 at 7PM ET/PT and Monday, July 23 at 7PM ET/PT. With unprecedented access to maximum security prisons, “Serial Killer with Piers Morgan” explores the minds of the most depraved serial killers for the first time. Having never spoken on camera about their crimes until now, each chilling hour centers around Piers’ up close and personal interviews with a killer. Piers delves into the minds of killers who haunted communities for decades and attempts to discover what drove them to murder. He also meets with victims’ families and law enforcement to understand how the actions of these men wreaked havoc across America as police raced against time to try and catch them before they struck again. In the premiere, Piers meets with Mark Riebe. Riebe was convicted of one murder but confessed to police to the abduction and killing of twelve women, and even though he is incarcerated for just one murder and has since withdrawn these confessions, police believe if true Riebe is one of the worst serial killers in Florida’s history. In the next episode, Piers goes to Lorenzo Gilyard, also known as the Kansas City Strangler. For nearly two decades Gilyard brought fear to the streets of Kansas City, Missouri. Incarcerated for six murders, he is the prime suspect in a further seven. Until now, he has never spoken about his crimes and Piers sets out to discover what drove this seemingly ordinary man to kill. What do you think? Do you watch a lot of true crime shows? Will you check out Serial Killer with Piers Morgan? More about: Oxygen TV Shows: canceled or renewed?, Serial Killer with Piers Morgan, Serial Killer with Piers Morgan: canceled or renewed? Please, please, stop this man from getting airtime. He is the very worst of presenters in so many ways.